Welcome to DAY 3 of our week of Caleb and Sophia! 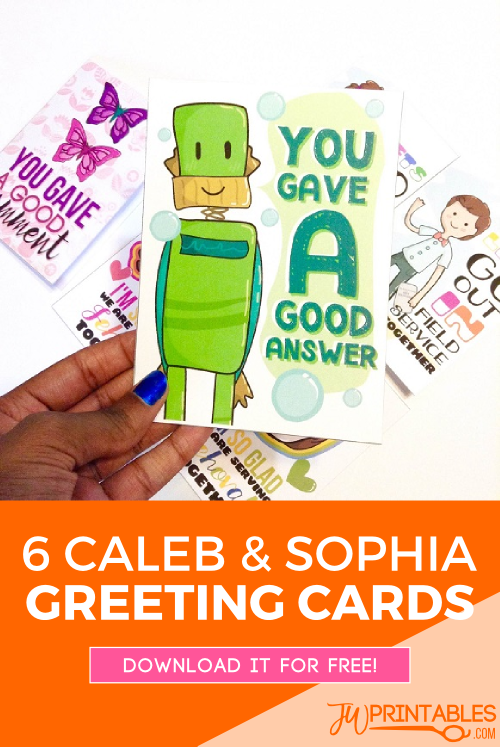 This week we’ll be releasing a free printable everyday with a Caleb and Sophia theme since the brothers have been so kind and loving in providing the Caleb and Sophia animated series for our young ones. If you know a family with young ones who would love to participate in the giveaways or who would like to see all the printables we release this week, please refer them to our website so they can get in on all of the goodies! This printable was requested by a sister! I think it would be really cute to have a kids card that the kids can give one another at meeting. My kids are 6 and 3. They love to color and give gifts. These free printables are beyond beautiful and I can’t thank you enough for all the HARD work and time you have given. You have made my kids love and appreciate Jehovah and I can’t thank you enough! -L.G. Thank you for requesting this! We thought it was such a great idea that we’re including it in our week of Caleb & Sophia. 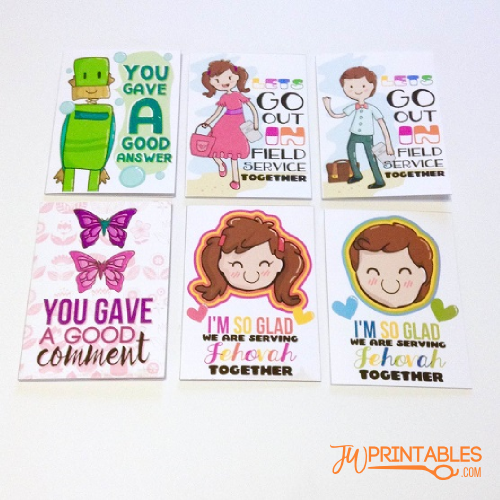 Included are SIX cards that your young ones can use to give to their friends, young or old. Some of the titles include “lets go out in service together” and “You gave a good answer” featuring our favorite C&S characters. No tutorial for these, since it’s a simple as cut, fold and write your message in. Please enjoy! These cards are free for personal, at home use only. 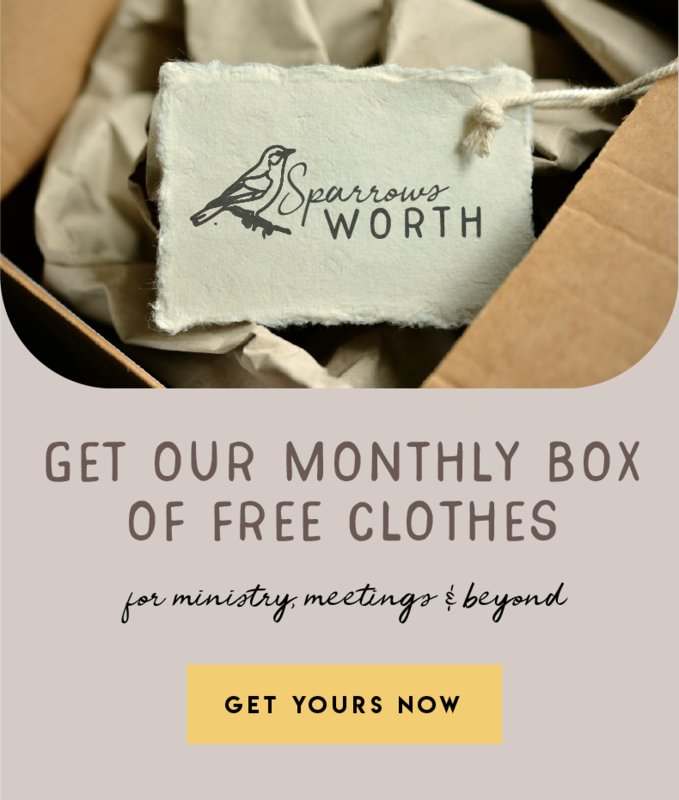 Please keep our JW Printables branded logo intact on the printable when you use it & please refer people to this page and do not directly link to the download link. Thanks! FREE Greeting Card: Best Life Ever! Circuit Overseer “Thank You” Candygram! Thank you so much for making these cards. I cannot wait to have my kids use them. They are going to have so much fun and I know it will bring them closer to Jehovah’s brotherhood! Aw! We hope your kids enjoy them! Sending you love! Thank you Xenia! Sending love right back to you from the USA! -D.
Thank you! Thank you! Thank you! I am a mother of 6 and there is so much on here that we use and benefit from. My kids love all the printable that we have used so far. I am definitely looking forward to using the meeting notes page with my youngest two at meeting this week. All our brotherly love from Nebraska! How awesome! These were especially made with little ones in mind, so We hope they really enjoy them! Any items designed in spanish? Aww! these are so cute! Im happy my kids will use them to draw closer to the friends in our congregation! Thank you so much for your hard work and generous spirit! You are a great help to a lot of families!!! This is amazing and Thank you! Thank you so much for these wonderful provisions. I’ve been struggling to find ways to make my son occupied during the meetings, indeed Jehovah lead me to this site. It was wonderful, I also sent to my friend and she was delighted. Please continue publishing. Again no words can express how much appreciated this website, thanks for all your kindness in publishing this above all all praises to Jehovah.